Please noye that these definitions are iterative and in a constant process of evolution. 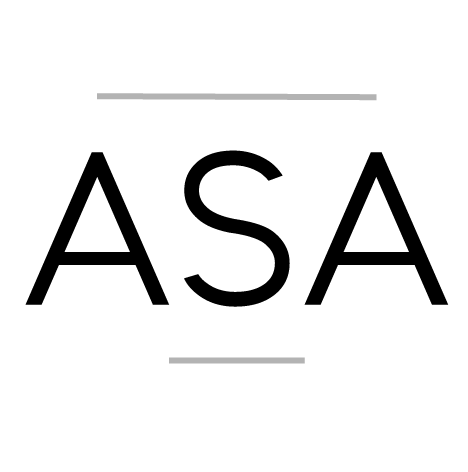 Bellow, you will find multiple different definitions that we have used throughout ASA’s history so far. An artistic and creative process that facilitates a positive transformation in the participating individuals, groups and on society at large. A Social art practice is one where the artistic and creative medium is but a tool too transform the actual canvas that is people, groups and societies. 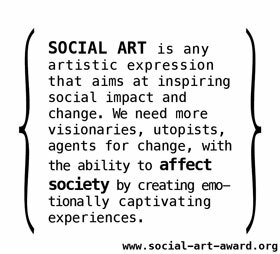 From Partnership for Youth Empowerment : What is a social artist? A social artist is someone who is part artist, part social-change agent, part facilitator and part visionary. The social artist draws on artistic practice, group dynamics and creative ideas to facilitate change. Some social artists are already skilled youth facilitators who add an understanding of creative process and the use of the arts to their practice. Others are artists, musicians, poets or actors who decide to use their skills to run programs for youth. Still others are visionary leaders who obtain artistic and facilitation skills to bring new ideas into the public sphere. Social artists possess three key abilities: deep listening, speaking from the heart, and being fully present. They are catalysts for innovation and action on behalf of all. We believe that the 21st century calls for the kind of creative leadership skills that social artists offer.